Vietnamese business community highly appreciates Mrs Nguyen Thu Huong. 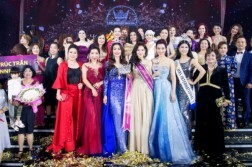 Miss Sport Vietnam in 1998, owner of several business and women magazines in Vietnam, honored with the title Mrs Vietnam 2012 and 1st runner Mrs World 2012, founder of Women Leaders International network. Women Leaders International network , what was the path of from the beginning till now? We started in 2013, until now almost 4 years. We started with me and 10 friends, who supported the idea of Women Leaders International network (WLIN). Now in Vietnam we have around 500 members. And we network with international partners. We supported Women Leaders Malaysia to develop very well. In Vietnam we have 7 clubs. They support each other in business development and networking. Till the end of this year we plan to have 10 clubs, with number of memebers up to 1000 business women. The most important is quality. So we can really support together in business. Purpose and principles of WLIN? What is the difference between WLIN and other business associations in Vietnam? With the vision of WLIN supports the women to become more beautiful and more confident and successful. WLIN supports for women to develop themselves, to perform more effectively in business, society and bring better world for the next generation. What is the difference between WLIN and other business clubs in Vietnam? It is special, it is for women only: to meet, to share, to exchange. WLIN is the number one business club in Vietnam for the women, it has big network. We can not only support with networking for our members in Vietnam, but in other countries as well. We plan to reach the target: 10.000 members worldwide in 2020.
Business women from how many countries are linked within WLIN? WLIN is linked with many countries, where we have Vietnamese people living and doing business, they help us to deliver the ideas and values of WLIN to the local business community. In ASEAN, WLIN has connections with Singapore, South Korea, Malaysia, Hong Kong, China, USA, Australia. Also we just finished set-up for WLIN in South Africa. WLIN in Vietnam, is it mostly for local business community or integrated with international businesses in Vietnam? Basically, WLIN with the word international in the name, is networking globally? Not onlu in Vietnam and trying to connect business women from different countries. Open the door for Vietnamese business women to meet the global partners and help international businesses in Vietnam to get an access to Vietnamese market. 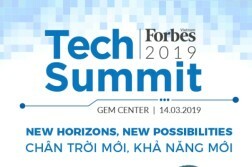 We network with Korean, Taiwan, Japanese, Europeans doing business in Vietnam, we help them to connect to real Vietnamese market. If they only know EuroCham, AusCham, AmCham etc, it is difficult to understand the real local businesses. 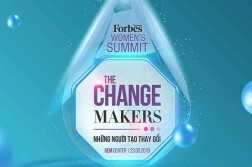 Now in Vietnam we have something about 60.000 companies, 40% of them are owned by women. Moreover, women have leading positions in many companies as well. If the foreign businesses in Vietnam can connect to these women, it means they can connect to the real market. If the connect to WLIN, they can understand Vietnamese market better. I plan to organize a special club for international business women currently doing their business in Vietnam to gather within English speaking club in the framework of WLIN. What of the projects within the framework of WLIN that you personally feel the most proud of? WLIN has a lot of activities. CEO-kids is a program to support for the next generation to develop leadership from the childhood. Also we praise value of mother with program Mother Beauty Award. Women should be successful both in business and personal life. Live a beautiful balanced life, beautiful both inside and outside. Every year, we organize a big event for women leaders, we call it Beauty Queen. I am so proud because of the Women Leaders Beauty Queen. After training, our members change very positive way, they look more beautiful, more professional in public speaking, media appearance, personal branding. Every year in March we have Women Leaders International Forum. When all international clubs within global WLIN network meet together to join the activities and business networking. All members are granted with a privilege of access to 3 big WLIN events in the year. Every club has weekly member’s meeting, usually organized as business-lunch or networking dinner, depending on the destination: Hanoi, Hochiminh-city, Hai Phong, Da Nang, Nha Trang.